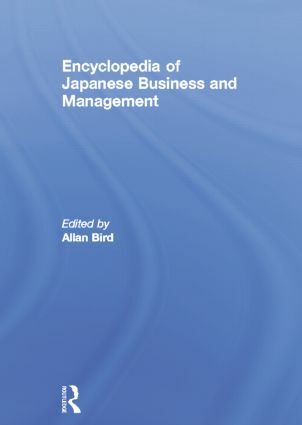 The Encyclopedia of Japanese Business and Management is the definitive reference source for the exploration of Japanese business and management. Reflecting the multidisciplinary nature of this field, the Encyclopedia consolidates and contextualises the leading research and knowledge about the Japanese business system and Japanese management thought and practice. It will be welcomed by scholar and student alike as an essential resource for teaching, an invaluable companion to independent study, and a solid starting point for wider exploration.